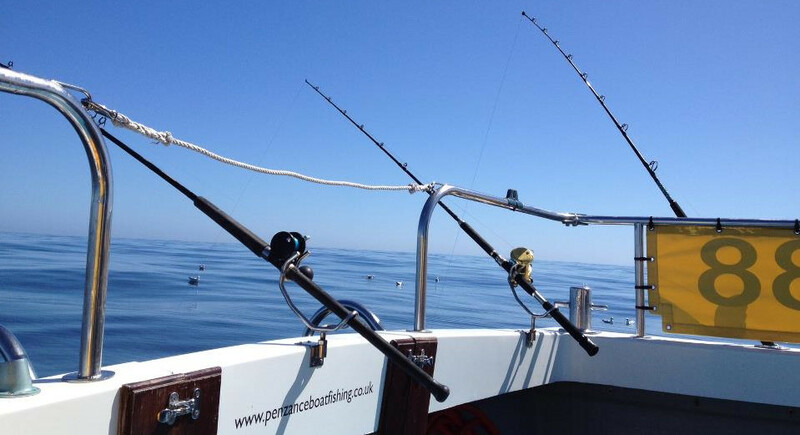 Join us on board Penzance's finest angling boat. Whether you are a novice or a seasoned angler, all are welcome. If you want a 2 hour mackerelling trip or to fish the wrecks up to 60 miles offshore, or even to spend a day shark fishing, we can find you the fish you want to catch. We can provide all the gear you need, or you are welcome to bring your own. Penzance is perfectly located in the south west tip of the country and fishing from here allows you access to the Western Approaches - some of the best angling in the country. Our boat offers a large deck area so lots of space to fish - we never take more than 12 so no tangles, just a truly memorable fishing trip.